Congratulations to H.A. Titus our winner from last week’s giveaway. This week we get write to the point with Roger Bruner. Melissa, I’m a Preacher’s Kid. Although I was born in Miami, we lived there only a few months after my birth. 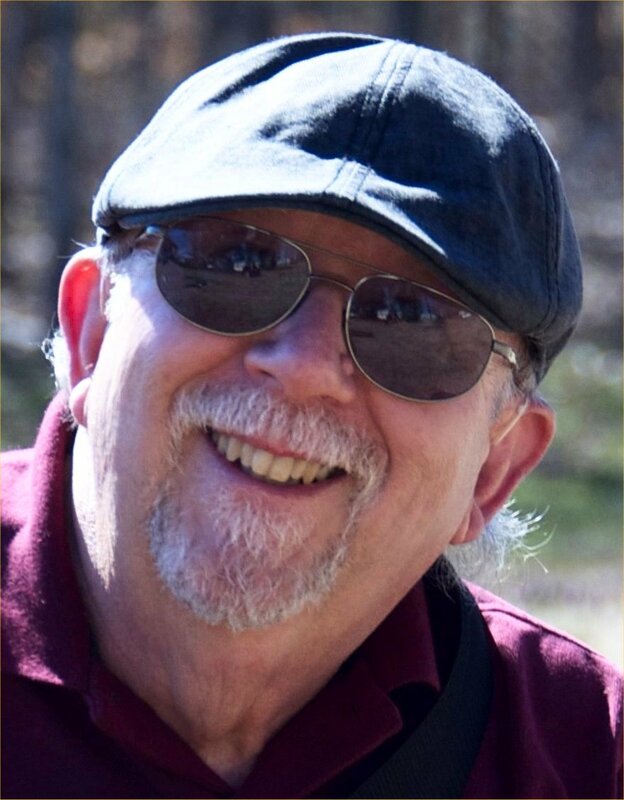 I grew up in Virginia and North Carolina—if at age sixty-five I dare to claim I’ve grown up—and I ended up living in Maryland for quite a few years starting with my college years. I started out as an English teacher (back when ninth grade was still “junior high”), then worked as a job counselor/interviewer at the Maryland State Job Service, and finally moved to Richmond, Virginia, where I still live, to work as a programmer at the International Mission Board of the Southern Baptist Convention. I’ve always been a writer (or so it seems)—poems, short stories, dramatic monologs, short plays, and songs—I sing and play guitar, too. But it wasn’t until the IMB downsized me and I ended up with a part-time job at Target—it helped pay the bills—that I found the time to write my first novel. I made the mistake of self-publishing for a number of reasons, none of which turned out to be as good as I thought at the time. Only after starting to consume writing books by the dozen and attending a minimum of one Christian writers conference yearly did I begin to see what an awful job I’d done on that self-published book. So I pretend it doesn’t exist anymore—fortunately, fewer than 150 copies exist. The progress from that point has seemed slow at times, but I’ve always sensed that it was very God-directed. I’m married now to Kathleen; this year makes nine wonderful years. I have a twenty-five-year-old daughter, Kristi, who now has a husband and young son. And two talented step-daughters who are a bit older than Kristi. None of them lives close to us, unfortunately. We love our privacy, though, so maybe the distance between us isn’t totally unfortunate. I wish I could give you a Saul-to-Paul conversion story, but I can’t. Growing up as I did in a Christian home, I considered myself a Christian from a very early age. Making my commitment public was something else, though; I had a severe fear of the water, and the very thought of baptism put me into a panic. As a pre-teen, however, I finally let God overcome that fear enough to make a public profession of faith and be baptized. I can’t say that my life changed much immediately after that—not until the eighth grade, when I came down with acute viral encephalitis and almost died. The doctors told my parents that—even if I survived—I might end up as just a vegetable. During my non-vegetative recovery, my parents told me about all the people who’d been praying for me. I realized that God had performed a very personal miracle on my behalf, and I consider that the beginning of my real growth as a Christian. 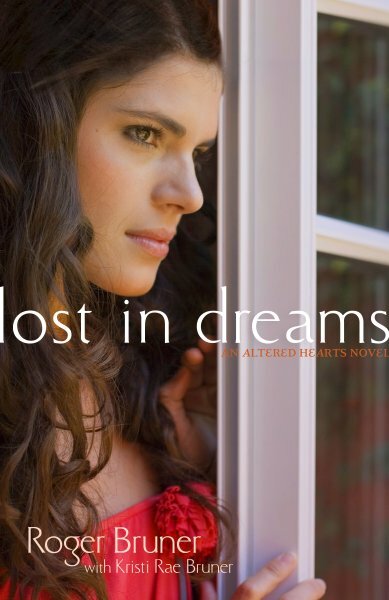 I have two published books—Found in Translation and Lost in Dreams. Both came out last year as the beginning of a proposed series called Altered Hearts. Unfortunately, Barbour Publishing decided not to continue with its Young Adult line, so my series died prematurely—much to the disappointment of many of its readers, I might add. Both books are from the point of view of a spoiled eighteen-year-old named Kim, and both involve mission trips—one to Mexico and one to the mountains of northern California. It was fun seeing Kim grow and mature, and I think the lessons about forgiveness and the importance of relying on God are huge take aways from both novels. I have a contract pending on a very humorous mid-life romance—the working title is The Lady & the Impractical Jokester, but my agent is also shopping an inspirational novel called The Devil & Pastor Gus, which is one of my favorites; it’s a modern day cross between the story of Job and one of the many tales about someone selling his soul to the devil and then trying to get out of it. I’ve recently completed a novel for teen boys—teen girls will like it, too, however. Misfits seriously challenges teens to look at themselves and learn to accept themselves as they are—and as God does. For my local readers (you know who you are) I have seen Roger’s books at Sounds of Light if you wanted to pick one up and give them a little business. I have to smile at this question, because I have three blogs. “Have had” is more accurate. I do have one active one, however. I post to “As I Come Singing” twice a week. It has a very specific purpose: to offer original song lyrics for other writers to use in their writing at no cost. Although my followers are few so far, I think it will catch on eventually. Most writers can’t afford to pay to quote other peoples’ song lyrics in their books. While practically nobody has ever heard of my songs, that doesn’t mean they might not find something appropriate to borrow—or even adapt. Incidentally, I got the idea for this blog when I ended up using some of my own lyrics in my two published novels. Oh, man, Melissa, you ask some tough questions. *L* Not tough because I don’t have favorites, but because I’m not sure I can limit myself to “a favorite.” Even though I’ve never written suspense, I especially enjoy books by DiAnn Mills, Brandilyn Collins, Al Gansky, and—most recently—an Australian author, Martin Roth, whose books are available at Amazon for almost nothing. Then again, I’ve also enjoyed some of Ted Decker’s books (just finished The Bride Collector), and I will automatically buy any new book by Jim Rubart. Not everything I read is suspense, though. I occasionally read a women’s book (especially by Deb Raney, whom I once told that she writes women’s books that even a man can enjoy) or romantic suspense. Christy Barritt is not just a friend, but a delightful writer. I. . . Okay, you don’t have to keep flashing that light, Melissa. I can see I’ve overshot this answer and need to let you ask me another question. That’s an easy one. It’s something I’ve already alluded to. My downsizing from the IMB could have been the worst disaster of my life, especially considering I had felt “called” to work there and wouldn’t have left willingly. But at the beginning of what turned out to be my last year there, I was assigned to a project I just never really caught onto. I tried awfully hard, but my job performance was headed further and further downhill. So the downsizing provided a release from that suffering. I view it now as God’s way of setting me free. And who knows when or whether I would ever have written that first novel, otherwise? Although a number of writers have a verse they quote when doing a book signing, I don’t. John 3:16 says it all, of course, but Romans 8:28 is probably my favorite verse otherwise. And not just because it’s a verse I can locate in the Bible. All over the place! *laughing* My website is RogerBruner.com. There, you can not only learn more about my books, but sample the unpublished manuscripts and see some of my other writing. You can also see some of my favorite photographs and listen to some of my songs. My active blogsite is “AsIComeSinging.wordpress.com,” but you can also get there from the “Blogs” tab on my website. Although I have Facebook, Twitter, and Pinterest accounts and respond to anyone who posts to me there, I tend to ignore the social media in general—it just takes too much time to keep up with. Having the freedom to write full-time is a real blessing. While the little bit of extra income is nice, that’s not my purpose in writing. I believe God has given me something to say—I communicate much better in writing than I do verbally—and I pray daily for my readers. That each one may receive the message God has for him or her. . .and that God will lead His desired choice of readers to my books. Thank you Roger. My readers always love hearing from authors. Thanks for taking the time to share. Readers, Roger will give away your choice of either book in paperback or both books in e-book for Kindle. Just leave him a comment by June 26 at 5:00 PM and you will be entered to win. Your blog about the song lyrics sounds like a great idea! Sounds like two great books. Thanks for sharing with us. Hi Melissa and Mr. Bruner. These books sound very interesting, as I have a 15 year old granddaughter who loves to read and also draws and writes stories. I would love to win one of these books for her.